The Power of Crystals: What Causes the Extreme Physical Reactions and Dizziness? I was inspired to write this post after a string of incidents experienced by my boyfriend (Shawn) at various crystal shops. Exploring the wonders of crystals, rocks, fossils and nature in general has always been one of my passions, so each time I’m able, I go into stores that offer such treasures. After witnessing Shawn’s extreme reactions every time we’ve visited a crystal shop, I came here looking for answers. Apologies in advance for the length of my article – but I wanted to fully describe and explore all aspects of this odd phenomenon! Maybe someone else who experiences this can also relate. Shawn, my boyfriend of 19 years, loves new experiences and travel, as do I, so he is always with me on trips to crystal shops. Yesterday, and for the 6th or 7th separate time, he experienced overwhelming dizziness after being in a store that sells crystals. Within the past few years, we’ve visited crystal shops in Chicago, San Francisco, Virginia City NV, Escanaba MI, Gold Beach OR, Lake Tahoe, and now Reno NV. At every single one, he’s ended up standing outside waiting for me, because he almost instantly became dizzy and disoriented. We would always brush it off as maybe he was hungry, or tired (since we were usually traveling when this would happen). But after this most recent occurrence, and after reading the article on this website titled “Have you ever come across certain crystal stone(s) that make you feel sick” … we think the power of crystals may be directly impacting him. January 10th is my birthday, and as my gift I wanted to visit a local shop called “Stone Age Quarry” in our home town of Reno, NV. These are the 3 strange events that transpired within our 45 minute visit. Upon entering the store, the first object on display was Black Tourmaline, so Shawn and I both picked it up to admire. The shop owner briefly stopped to tell us that this was a new import from Brazil, and that unlike most fragile and brittle black tourmaline, this specific type could be chiseled into shapes or jewelry. The conversation lasted a few minutes, and Shawn was holding Tourmaline the entire time. He put it back down on the shelf and walked a few steps, exclaiming “wow, I feel dizzy” and grabbed onto my shoulder. We walked slowly toward the back of the store, where he stood in between the cashier counter and a running water fountain, made of large boulders. He explained to the clerk that he was feeling strange and dizzy, but after taking a few deep breaths, said he felt better. We returned to the front of the store, looked at the fossil section for a bit, and he felt fine during that portion. But then, we walked into the middle of the shop, where we were surrounded by shelves of crystals. Within a few seconds, the unbearable dizziness returned. This time, he was short of breath, so decided to step outside for some air. About 5 minutes later he returned, feeling good again. Most of the items on my list were almost checked off, but I still wanted to find a Sunstone. The clerk showed us a few items in a case by the cash register, and we browsed some shiny gemstones in a rotating case. While looking at the jewelry, standing away from the shelves of crystals, Shawn felt fine. Then the clerk took us to the opposite side of the store where a basket of tumbled Sunstones sat on the floor. I picked it up to sort through them, and afterwards we started admiring a large amethyst geode. The dizziness snuck back, as we walked to a shelf of crystal-containing water bottles. I picked one up, and we talked about the theory of adding ‘crystal power’ to your water, when Shawn’s hand clutched onto my shoulder once again. He was turning pale, and said he felt drunk. This time he relented and said he was going to go sit in the car so he didn’t pass out and slam into a shelf of crystals. Assuring me that he would feel fine once he left the store, I made sure he safely reached the car. I went back into the shop to purchase the items I’d collected. This store is amazingly thorough with providing printed information for each crystal – so the checkout process took around 15 minutes. As each one was bagged individually, the cashier and I talked about Shawn’s dizziness episodes, and I was happy to hear that he was not alone in these experiences! The clerk explained that she witnessed several other customers have similar things happen. Apparently, it even happened to a few people who were hired to work at the place! They ended up not making it past noon on their first day before they had to leave, due to these imbalances. Incidents similar to this have happened to Shawn EVERY SINGLE TIME we’ve visited crystal shops! The visits really have nothing in common – all shops having different layouts and lighting, and were in different parts of the country. The one in Oregon had both an indoor shop and an outdoor rock yard – complete with lush vegetation, flowers and trees. He had to leave the indoor shop quickly, but enjoyed browsing around outside, as the crystals seemed to have no effect on him there. In the article that drew me here (“Have you ever come across certain crystal stone(s) that make you feel sick, by Elis”) the OP talks about black tourmaline having ill effects on her – and people in the comments agree this stone is very strong. Interesting… because that was the first stone Shawn held onto before his odd reactions occurred last week. In response to Ellis’s question, the site owner & writer, Liz, replies with interesting comments about spiritual grounding. After reading another article on the site called “Are YOU Ungrounded”, I’m starting to think that’s the cause of Shawn’s issues around crystals. It’s particularly funny, because just 1 day before the visit to the crystal shop, Shawn stumbled while walking in the kitchen (not unusual for him) and I joked “you’re off balance, I think you need to get your Chakras realigned”. Then just 2 days later, I found the grounding article, which mentions the importance of grounding yourself to the earth star chakra. It also listed signs of being ungrounded: dizziness, feeling spaced out, being tired, difficulty concentrating, forgetfulness, misplacing things, sensitivity to light, losing track while talking, and general feelings of clumsiness. I had him read the list, and he was speechless – ALL of it fits. Apparently black tourmaline (and crystals in general) have a more heightened effect on one who is ungrounded. It’s also interesting that while Shawn was in the Oregon outdoor rock yard, surrounded by nature and with feet planted on raw ground, the crystals had no effect. Yet inside the store, he nearly passed out. Shawn is a Pieces, notoriously un-grounded, and “floating” through life, so to speak. While he has not experienced first -hand nearly as many unexplainable visual events as I have, he tends to still believe in what he cannot see. He also has been known to get bad feelings about a person or place, randomly and within seconds of interaction – and his intuition usually turns out to be correct. A friend who is a paranormal investigator took some EVP equipment to our house one day. She told us that Shawn should not be in the house during the investigation, because he acts as a block to the spirit world. I’m not sure if this is typical of those who are ungrounded?... as it seems almost contradictory. Whenever he is in the house, I feel safe. When I’m alone in the house, I get random foreboding feelings and hear unusual sounds. In contrast to myself, Shawn quickly becomes bored in nature. It never ceases to amaze me that in a universe of natural wonders, some cheesy action movie will manage to capture his attention 10x better than standing on a mountain top admiring a color-shifting sunset. He says that he doesn’t feel anything particular special when looking at or holding crystals, other than admiring their physical qualities. But, they have this unwanted effect on him, no matter how hard he tries to ignore it. Shawn’s physical health has always been a bit of a disaster, with blood imbalances, neuropathy, and stomach issues. I am a Capricorn, notoriously grounded, often to a fault. While I’m an incredibly skeptical person who would like to believe in everything metaphysical, I constantly try to talk myself out of it - thinking I’m not being rational. I need to see to believe, and even then, I fight to find rational explanations! 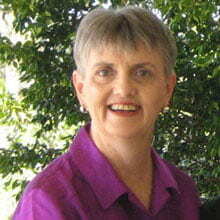 I have seen 3 spirit manifestations, and had numerous spooky things occur throughout my life. Personally, I have always felt connected with earth and mother nature. Rather than getting bored on a nature escape, it makes me feel refreshed and renewed. If I’m exhausted, my energy levels return to normal after a day in nature. I could spend forever walking on beaches or roaming around forests. Being around crystals revives me, and provides a sense of wholeness with the universe. It has never made me feel dizzy or unbalanced; they don’t seem to have unsummoned effects on me. My physical issues have been nonexistent to date, I only suffer from occasional seasonal cold viruses, and have an odd allergy to mosquito bites. Looking at the differences between us, and how we react to crystals, does this look like a situation where Shawn is missing spiritual grounding? How does someone who gets bored easily in nature, and is somewhat reluctant to embrace nature, go about grounding themselves? Thank you for taking time to read this lengthy post.I’m taking classes to become a massage therapist - can’t wait for the Reiki portion & am also very interested in crystal healing; even more so now, after I see the effect they can have. Hopefully replies to my post will help us all, as we forage through life seeking answers & truth! Comments for The Power of Crystals: What Causes the Extreme Physical Reactions and Dizziness? 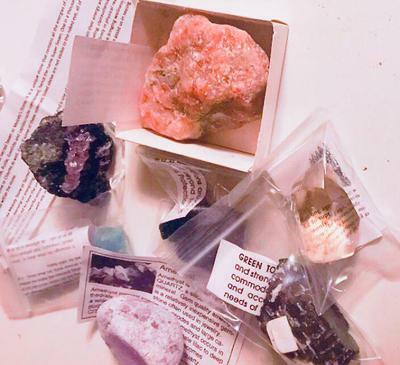 Thank you Colleen for such a well written story about your use of crystals and the reaction of your boyfriend to crystals. Just to start off I would suggest that anyone who has not read about the symptoms of being ungrounded should read the article I have written, Are you Ungrounded? which outlines the symptoms of being ungrounded. As you mentioned in your story, there have been quite a few people who have been talking about their reaction to Black Tourmaline. So if you (or anyone else reading this) react to Black Tourmaline, I suggest that you avoid all colors of Tourmaline. It occurs in a number of colors including clear (not common) as well as green, blue (Indicolite) red, pink and the brown variety known as Dravite. The article on grounding is divided into three parts. Part one covers symptoms of being ungrounded and also talks about earthing. As you mentioned Colleen, your boyfriend Shawn found it helpful to stand on the earth, and this is also a subject that I write about on this page. The third part of this article contains a list of grounding stones, and for those who find Black Tourmaline is inappropriate due to their reaction, there are quite a lot of other stones listed there that you can use instead. I am not sure if you have read the article I have written on EMF Protection Crystals. Many of the symptoms of being electrically sensitive are also the same as the symptoms of being ungrounded, but there are also some common symptoms that are not related to grounding. So its worth checking out this page, just in case this is Shawn's problem. It also contains a list of the most effective stones to help you if you have this problem. Three years ago I became sensitive to the electromagnetic fields that are emitted by electronic devices such as mobile phones, wi-fi and ipads. I found that the best stone to use to help me was Shungite. I wear a bead necklace made from Shungite when I am going to crowded places where there are lots of mobile devices in use, and find this very effective to help me. I also find Black Tourmaline to be highly effective to help me, but if you react to it, of course you should not use it. Judy Hall (the crystal book writer) is also electrically sensitive and recommends the use of Shungite as well as some other stones. I hope this helps, and I look forward to hearing from anyone else, with their comments on what you have written.